Since 1972 Parker Machine has specialized in precision machining for exacting industries. 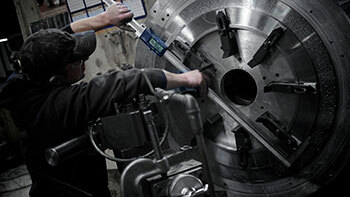 We offer a full service job shop with both CNC and conventional machines. Whether rebuilding or repairing existing equipment or manufacturing new parts to print our skilled team will not only meet our customer's demand, we will exceed it. 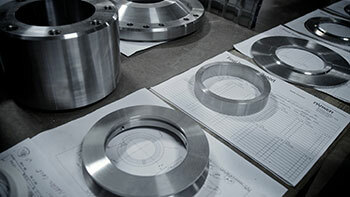 As a highly skilled manufacturer of precision machined parts, Parker Machine offers reverse engineering capabilities. We work with a wide range of materials from titanium to Duplex stainless steels as well as plastics from UHMW to Rulon. See a complete equipment list. Parts and components from Parker Machine are utilized by pulp mills, valve distributors and manufacturing plants throughout the United States, Canada and worldwide. Our customer base includes Andritz, Metso Automation, GL&V, and more. See a list of our top customers. 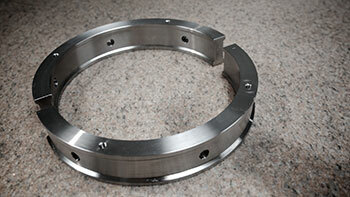 Offering CNC machine shop and welding services in Saratoga, Fort Edward, Glens Falls, Queensbury and Albany NY.